HomeA Bit More Into 8.1.5. A Bit More Into 8.1.5. There was yet another piece of story following the initiate experience. It is gated behind a mission table – luckily it’s just one mission, not a series of 5 like we had in Legion. The Horde is going to hold a major meeting in Warsong Hold (Stormsong Valley), and SI:7 is interested in it – a lot. For the Alliance side, you help the operatives of SI:7 to overhear what is going on. The Horde is very successful in blocking all the Alliance’s efforts – including killing the spies and disrupting their devices. Eventually the Alliance is left with an only option, but it’s a royal spot right over the camp itself. The Horde players, beside killing spies and destroying devices, also get an amusing quest of chasing away those who came without tickets. It’s the coolest goblin idea ever – selling tickets to the authority meetings like that! Eventually the dust settles, and both sides get to see a disturbing cinematic. Nathanos kills Zelling the undead tidesage for treachery, even if Baine tried to take all the fault upon himself, and Baine is taken into custody, but not before he openly claims that Sylvanas has crossed every border. Sylvanas ends up with a menacing speech about loyalties. 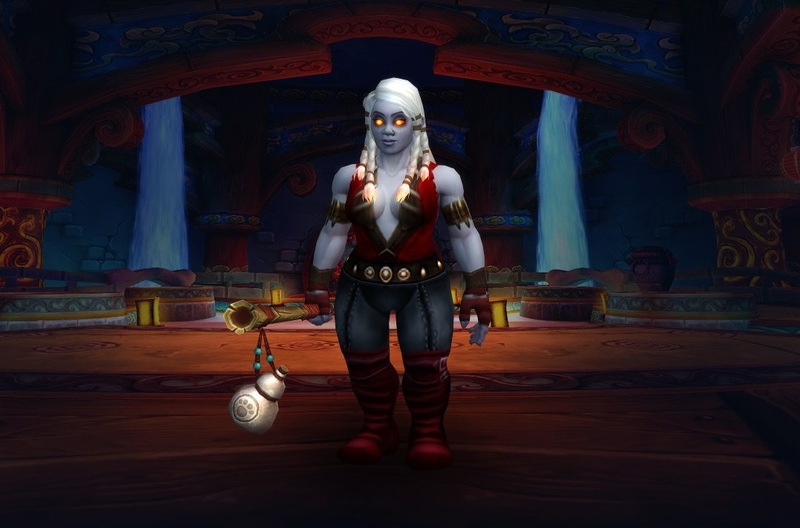 Hunter players greet Mimiron in their capitals – for the Alliance side, his image pops up by the tavern in Boralus and invites us to his Storm Peaks’ workshop. Mimiron provides us with an intel: as long as Titanstrike gun powers were gone, the Hati spirit is not. It is split in two, and we are able to retrieve it. 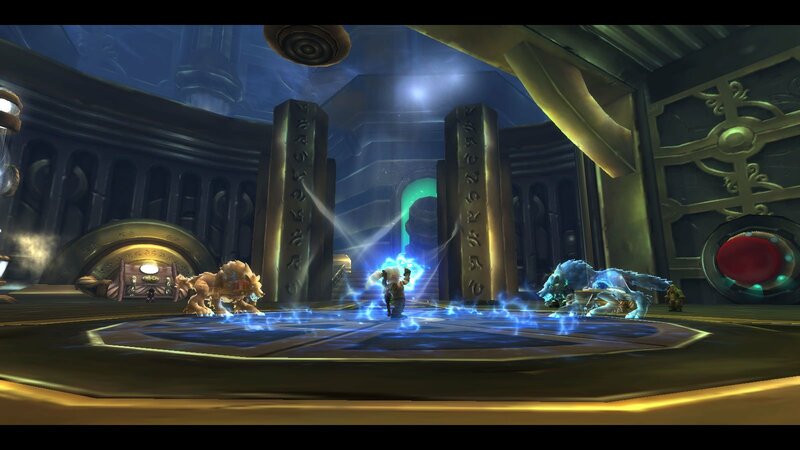 The first piece is found at Thorim’s throne in Storm Peaks, for the second piece of Hati’s soul we travel to Silithus. A dwarf hunter with a pet bear, and later Thorim help you to subdue them. I wonder if it had something to do with me being in a Marksmanship, but first thing in the fight Hati leaps at you and kills in an instant, “not recognizing” or smth. like that. The fight goes on though, so you are able to fly/run from the graveyard to complete the job. I died twice every time. We then fly back to Thorim. Thorim keeps a Titanspark which lets you to change colors of Hati now and forever on (I guess you could pick from the appearances you have earned). Once you choose, you can tame the desired Hati color, and it’s added as your pet – not a second one. The questline took me 20 minutes, it was pretty engaging, and fun because Mimiron (everything is with gnomes in it). I have not developed any bonds with Hati (not a BM, never), but I was glad to see another story. I’ve planned to put it off for laters, but the all-around blog and Twitter hysteria made me travel there :) I had three runs on 25 heroic mode, and it earned me 6 pets out of 11 – crossing out Terrace and all but one in Mogushan. Heart of Fear was the greediest – it owes me 4 out of 5 remaining pets. Like I said, Leashes drops are very generous. Dazar’Alor now has only one drop left for my chainmail armor set (and weapons, yes). We had the most amazing run today’s morning – so supportive and kind people even if both tanks were inexperienced and poorly geared. No wipes could break the positive attitude – we even killed Rastakhan with one tank (the other appeared to be in the room, but AFK). LFRs could surprise! Name’s Guldra, and she’s amazing. Raiding with leashes is best done at auction house. I’ve already got 4 pets under 2000 gold (but that’s server dependent, I guess), and that was 100% drop rate from the mailbox. Waiting for the price to drop on other 7. Like yourself, no one that I know has done the profession quests yet. I’m savoring them :) Just talked to the tailor and haven’t proceeded yet.